Lightweight, compact, space-saver design adaptable to interior/exterior chores for carpets, boats, vehicles, campers/RVS, upholstery, stairs, kitchen or shop. Quiet 9-amp motor. 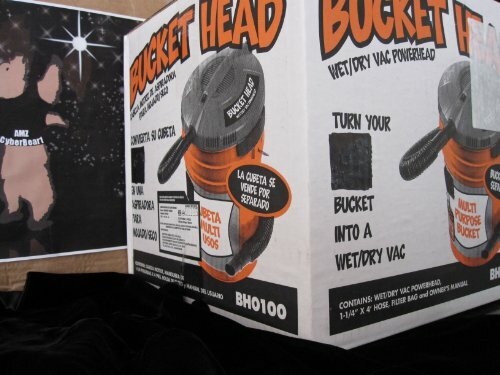 Auto suction shut-off prevents overflow. Plastic tank resists rust and dents. Easy-to-use disposable collection bags. Easy reach on/off switch, convenient top carrying handle and 2 large rear wheels for easy glide movement. 18′ cord length. 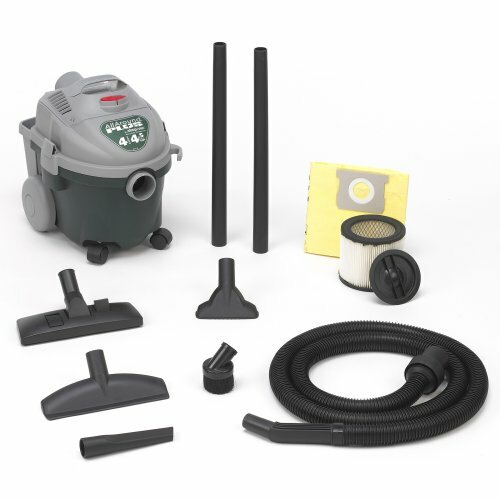 Includes a cartridge filter and disposable, high efficiency filter bag. 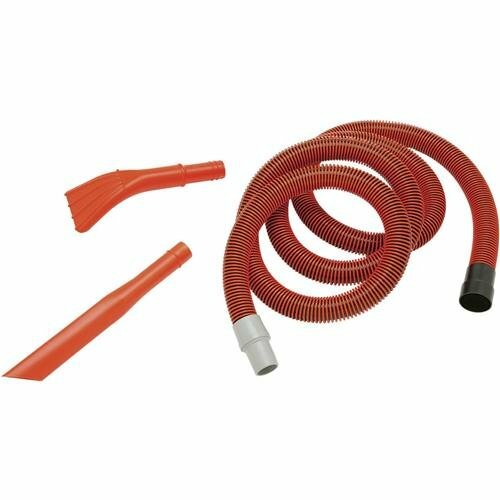 8′ x 1-1/4″ LockOn hose, (2) 1-1/4″ extension wands, dual service selector nozzle, wet/dry nozzle, crevice tool, a round brush, cartridge filter and filter bag.